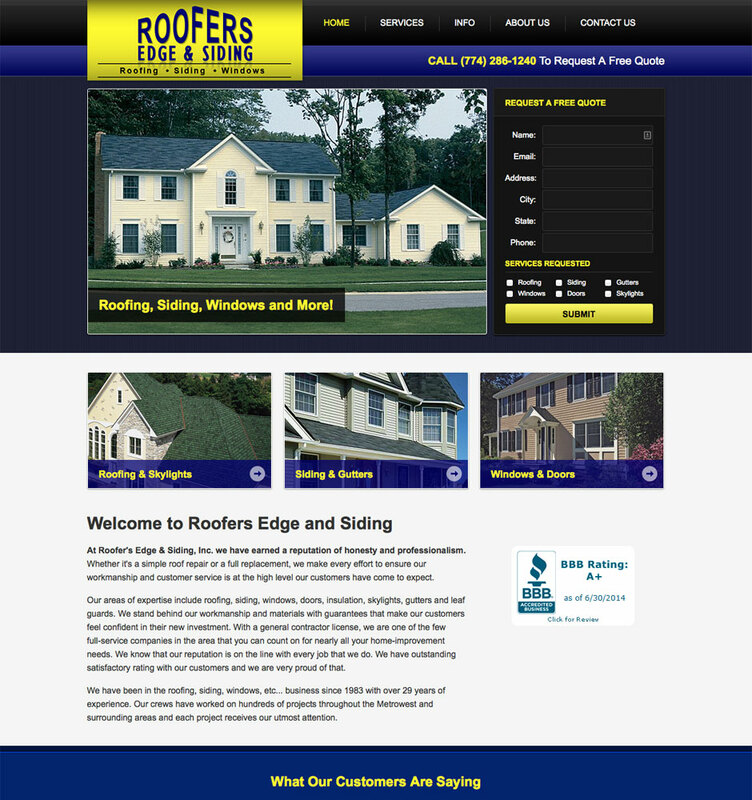 Roofers Edge & Siding was looking for their site to be redesigned. 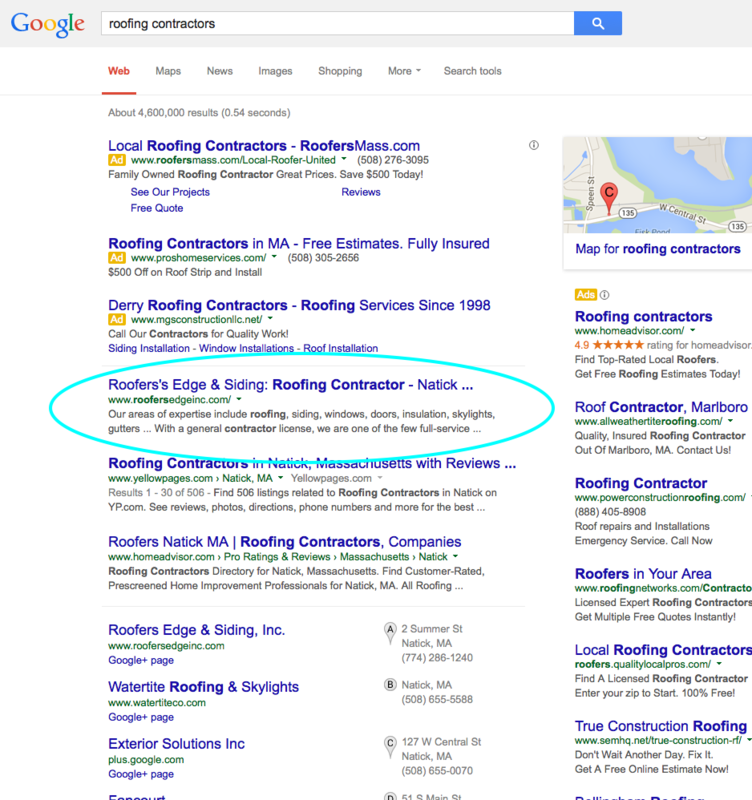 After consulting with them we were able to come up with a design that fit their needs. 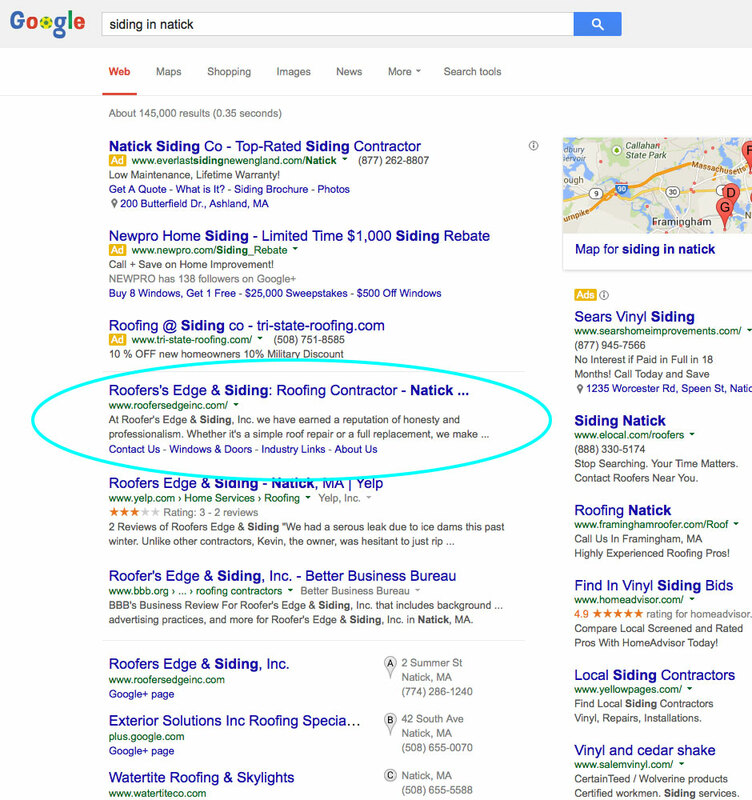 They also wanted to drive more traffic to their site. 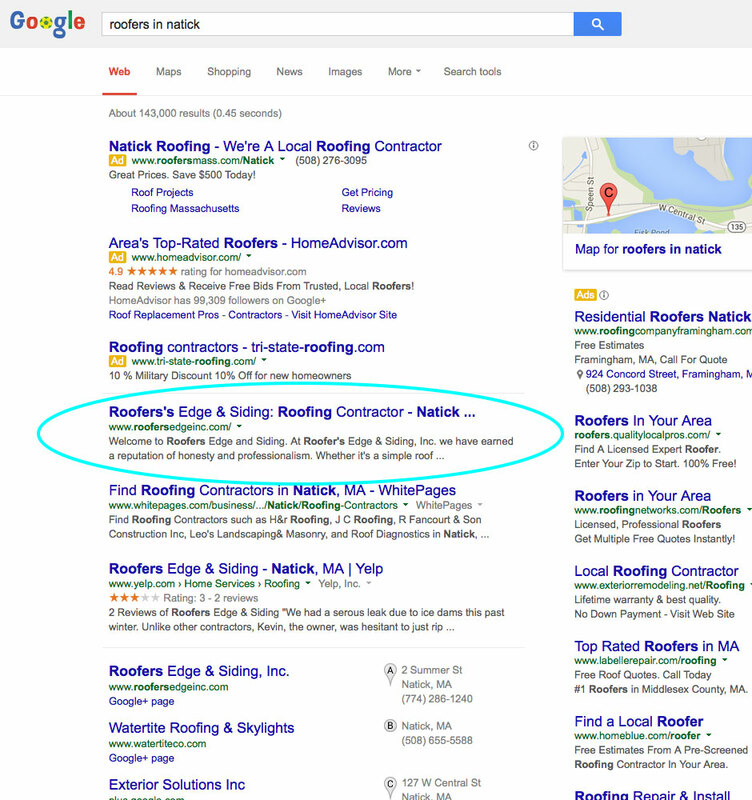 Through our search engine marketing services we were able to give them visibility for a 25 mile radius around their office in Natick, MA.